It is 6:00 am at the Harvard Business School where I am spending the week studying with YPO (Young President Organization) colleagues representing more than forty countries around the globe. During one of our sessions, we spoke about the Facebook phenomenon, specifically about the establishment of the company, and its present and FUTURE (…) statuses. Yes, the same term I enjoy addressing so often these days; The FUTURE! One of the attendees mentioned that Mark Zuckerberg, the CEO and founder of Facebook, has a solid potential to head the first company to reach a trillion dollar market value (it is fifty billion today). It made me think about the amazing changes and unpredictable realities we are living in these days. 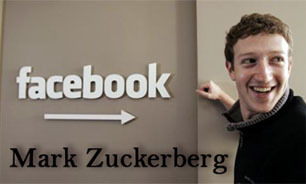 Mark Zuckerberg was merely twenty when he founded Facebook. Only half a century earlier, it was hard to comprehend that a young adult, without any experience in the outside world, would be able to grasp the ability to “reach the world” and change our lives. The phenomenon of social networking emerged towards the later part of the 1990’s and has changed the world of communication as we all have known it. These web based services have allowed online users to view each other’s profiles, exchange photos and communicate their most personal information online. A decade later, towards the end of 2009, online social networks have reached half of all internet users. The magnitude of change, power and immeasurable influence these social networks have gained, has affected the way we communicate, do business, meet people, and interact. Moreover, their long term implications are yet to be researched into depth. There are currently at least ten major studies taken place on the subject in both Europe and North America. As a professional who deals daily with helping others “look from the future,” I believe we need to relate to long term effects of these website services (both positive and negative) with an utterly different mindset. As an example of their many outcomes, there are some employers that dismiss applicants for new jobs after “researching” their Facebook profiles and finding embarrassing or inappropriate details. The uniqueness of Facebook started with one of its earlier versions and was different than any other social network. This was because it was emphasizing a UVP (Unique Value Proposition) of existing genuine friendships. It was actually geared solely towards members who had the “.edu” suffix in their e-mail addresses. The idea was to develop a system which outlined the existing contacts and friends to a user. Within a month of its introduction, it reached three quarters of Harvard students and within four months it had members from thirty colleges and one hundred fifty thousand users. Subsequently, the site expanded to eight hundred colleges in the United States and in early 2009 Facebook was the largest global online social network, with 175 million members. Today the numbers are reaching a staggering figure of six hundred million users. As I write this article, Facebook is valued at approximately fifty billion dollars. Though this number is barely comprehensible nor understood by many financial experts, it shows the magnitude and influence Facebook has on the world. One man (a young one, with very little life experience) has created an “octopus” which has changed our reality for good. Mark Zuckerberg was able to dream the future, and achieve his dream, by building the foundation for a new “country” filled with people who are connected by sharing their dreams, personal thoughts, photographs, movies and more. Facebook, literally, is a reachable database of ALL our friends and connections. I believe that in the near future we will use the term “let’s Facebook him or her,” as a generic term for basic communication. I wonder what else is yet to come out of this amazingly creative and successful company.